There are less a hundred cat breeds in which 40 are the only recognized breeds of Cat Fanciers’ Association. Similar breeds are not very different from one to another though some breeds really stand out. Through selective breeding and mutation, there are some breeds which really appear unique. There is even a cat that looks like cheetah. Read on and find out the rare cat breeds in the world. Sphynx or also known as Canadian Hairless is one of the most rare cat breeds. In 1966, the cat was considerably very rare because of the delay in breeding. Prune, the first sphynx cat, had died even without throwing a litter. However, in 1967, a sphynx mother as well as her kittens were all saved. After the second litter, two kittens that were sent to London had started the breeding of Sphynx. There was a belief that Sphynx cats do not have any furs. But in reality, they are actually covered with soft furs. Devon Rex is a cat breed, which was only around since 1960’s. Genetically, they are not related to German Rex and Cornish breeds. Devon Rex has "guard hair" which is characterized as coarse, stiff and waterproof hair that is usually found on furred animals. Devon Rex is also known for its big, low set ears and large eyes. This type of breed is very active, friendly and playful. They enjoy being put on the shoulders of people like parrots. Likewise, they can learn tricks like walking on a leash or fetching. Scottish Folds are other rare cat breeds, which are known as Coupari in Canada. Scottish Fold has genetic mutations, which had caused the cartilage in the ears to have a fold. The ear may appear 2 or even 3 folds. Because of these folds, the ears appear flopping forward thus giving them a distinct appearance. The ears of Scottish Fold may appear normal when they were born but the folds will soon appear after around 21 days. Generally, Scottish Folds are cuddly and friendly and they will not mind the presence of other pets. 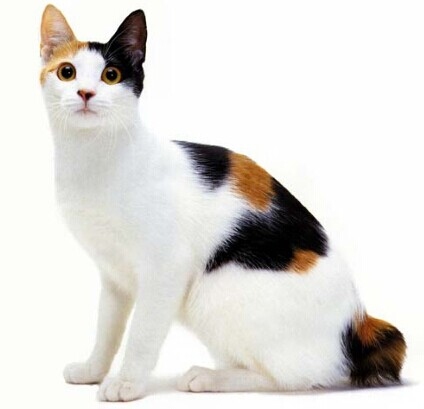 Japanese bobtail has a rabbit-like puff tail and they can hop like rabbits. In 1602, the government of Japan had ordered that all cats be set free to help in protecting silkworm fields against rats. During that time, buying and selling of cats were illegal so Japanese bobtails became street cats. 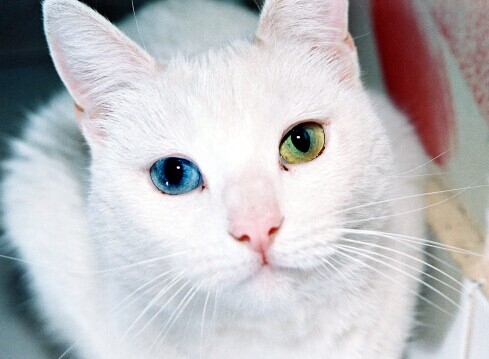 Today, they appear in different colors and odd-eyed bobtails are now famous in Japan. In fact, the "Maneki Neko" or the "beckoning cat", a popular good luck charm in Japan displays a Japanese bobtail that sits on the haunches while one paw raised. In Thailand, Khao Manee or White Jewel was a royal cat breed of Old Siam. Commoners who were caught stealing a Khao Manee were penalized for death. The breed is so unique that there is no available Khao Manee outside Thailand until 1999. Colleen Freymouth was the only first person to receive and breed Khao Manee outside of Thailand. This cat breed has been available exclusively in Thailand for 650 years. To have this kind of rare cat means luck. In the United Kingdom, Khao Manee kittens are priced at 8 to 10 thousand dollars. 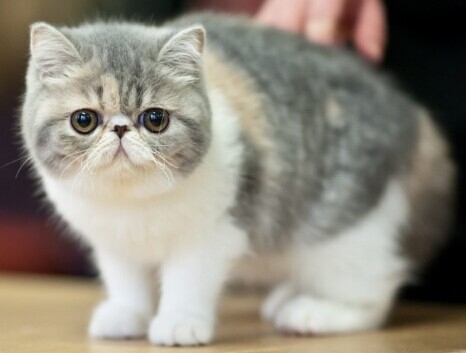 Teacup Persians are rare cat breeds, which have gained popularity recently. Because some people have smaller apartments and houses with limited space, the demand for Teacup Persians has increased. This kind of breed is not the result of strange genetic mutations but the result of breeding the smaller kind of Persian cats. Teacup Persians are cool cat breeds since they really look like ordinary Persian cats with fur and flat faces. However, their size is so small that they can be put into teacups. Female cats will grow up to 6 lbs and male cats to 7 lbs. 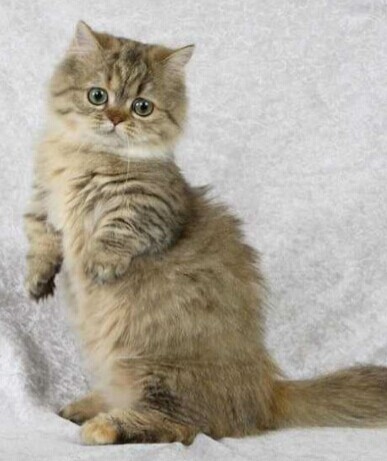 Munchkin cats do not have specific colors but they are known for their genetic mutation, which causes the legs to grow incredibly short, or also known as "achondroplasia". The genetic condition does not affect their jumping and running abilities. However, kittens that have two copies of the gene may not be able to survive. This is the reason cat societies do not recognize the Munchkin breed because they see that the trait is a genetic disorder. Because of the disorder, the Munchkins appear to have spinal deformity and sunken chests. Minskins are other rare cat breeds, which are known as "dwarf breeds". They have been around only since 1998. 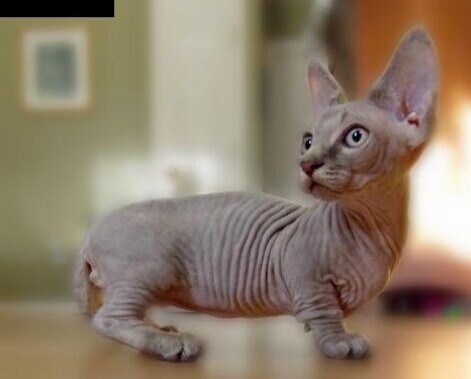 This kind of breed was the result of Devon Rex Munchkin with Sphynx cat. They simply appear to be a smaller version of Sphynx cats. The first standard Minskin was born in 2000 while in 2005, only fifty Minskin were recorded in existence. However, do not confuse Minskin with "bambino", another Sphynx bred with the Munchkin bred. To have Minskin, there is a need of a Munchkin parent with Devon Rex bred. Exotic Shorthair is also known for its cute name "Fig Newton". This breed is very similar to Persian breed but it has denser and shorter hair. Exotic Shorthairs have round heads with small ears, flattened faces and round eyes. Exotics are more lovely than the Persian breed and they love to sit in people's laps. Munchkins are dwarfed cats that were developed from a mutation which were discovered back in 1980’s. One of the known mutations of Munchkins with other breeds had resulted to several dwarf breeds like Napoleon. The Napoleon breed is created by mating Munchkins with other cats that belong in the Persian breed like the Exotic Short Hairs and the Persians. The result of the breeding is a breed characterized with short legs. The Napoleon breed also appears to have big round eyes, round body and long coat.